This is to instruct you on this half landing staircase calculator. Y – the height of the opening (total rise) – usually determined by the distance between the floors in your house. X – width of the opening (total run) – depends on how much space you can allocate in your house for the staircase. Z – thickness of steps – usually is a geometric parameter of the material (e.g. boards) from which you plan to build the steps. F – stair nosing – a distance at which the upper step will hang over the lower one. C – total number of steps – is about how many steps your staircase will have in total (we encourage you to play around with this parameter to determine the best comfort index). 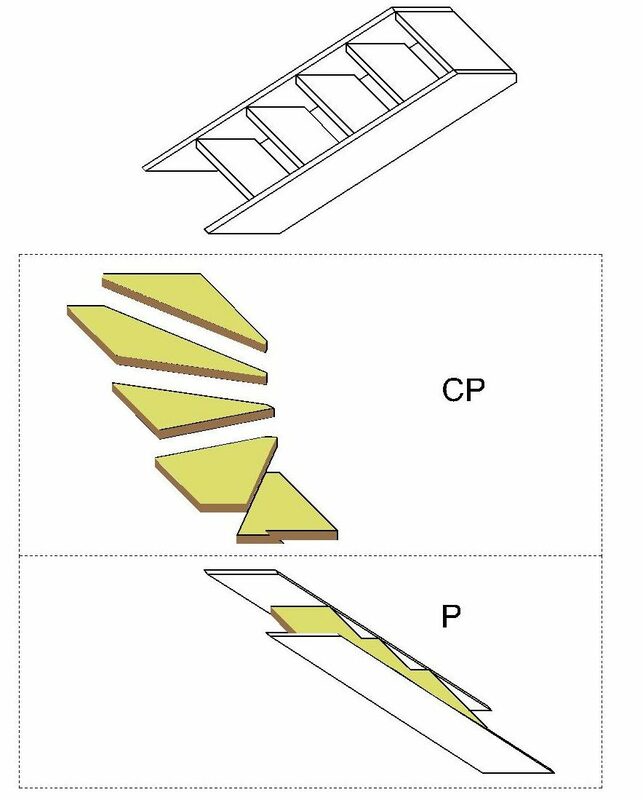 CP – number of turning steps. P – number of steps on the lower part (including landing). You can build your stairs with or without risers. This feature allows you to see how the design will look like in both cases. The upper step is below the floor plane. or simply a preference of the house owner. 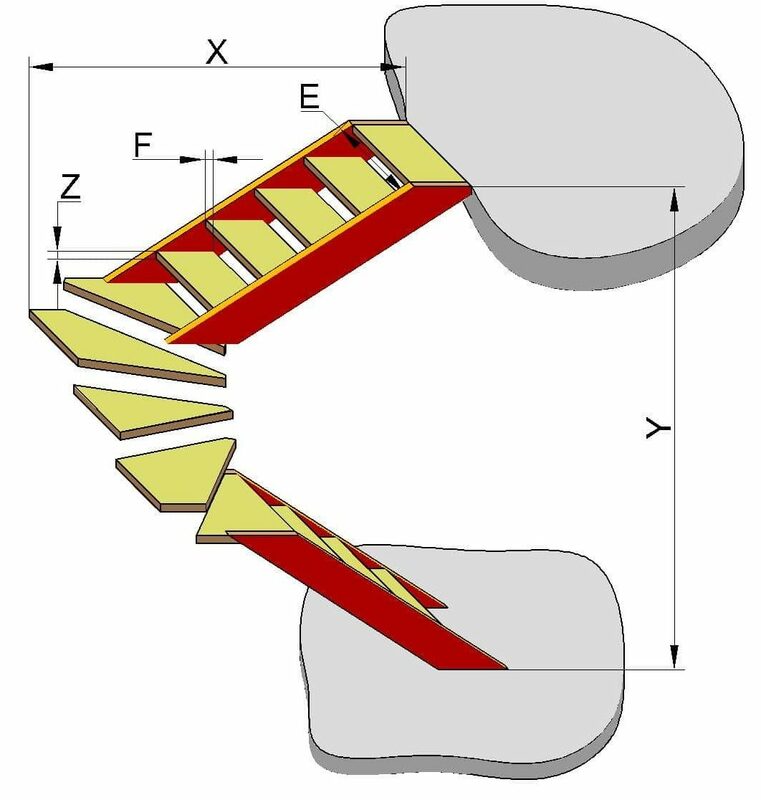 Note, in the figure where the upper step is below the floor, the thickness of the plane is greater than in the figure where the upper step is on the same level with the floor plane. Thus visualisation suggests that thickness of the floor plane should be great enough to allow the stringer to connect properly. This function is normally used for printing in greyscale. This function helps to visualise the staircase in a convenient for you way. A particular direction does not affect calculation results. What for is this switchback stair calculator? Information required for construction of staircase stringers, rise and run calculation. Information required for building of stairs. 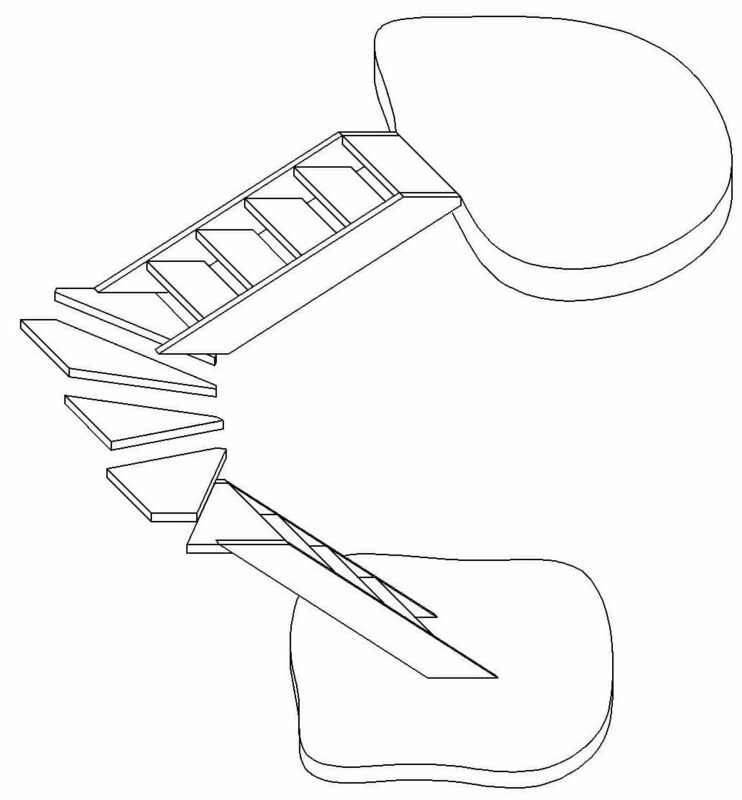 All other drawings show the final form of the staircase, i.e. after connecting stringers and stairs with each other. Rise and run calculation is shown on the drawing in results. Adjust the staircase parameters given the suggestions you will get. Correspondence of the staircase to the average human step length. According to this criterion, sum of a step (tread) width and two step rises should be equal to the average human step length, which is 63 cm. Step (stair tread) width is important. A comfortable step width, which equals to step run + step nosing, is about 28 cm. You can regulate the step width by changing the nosing. The stair angle (slope) is crucial. The optimum angle ranges from 30° to 40°. If instead stair angles range from 20° to 30° and from 40° to 45°, the level of comfort will be significantly reduced. Such angles beyond/above the optimal limits can significantly affect the speed of movement and the level of safety of the stairs. After you fill-in the initial parameters and press “Calculate”, an indicator of the level of convenience for each criterion will be given. Furthermore, general level of convenience is calculated. Decrease / increase the length of the opening (total run). Usually the height of the opening is already set. Based on your own preferences, you can choose the level of convenience: either the criteria of convenience are met, or the stairs are flatter, or steeper, etc. Although the calculator evaluates whether the staircase meets common criteria of convenience, you should always remember that your staircase should serve your purposes. Thus, if you really need to build the most non – standard staircase in the world, then go for it! Maybe you are looking for a different staircase type? © 2018 perpendicular.pro. All rights reserved.